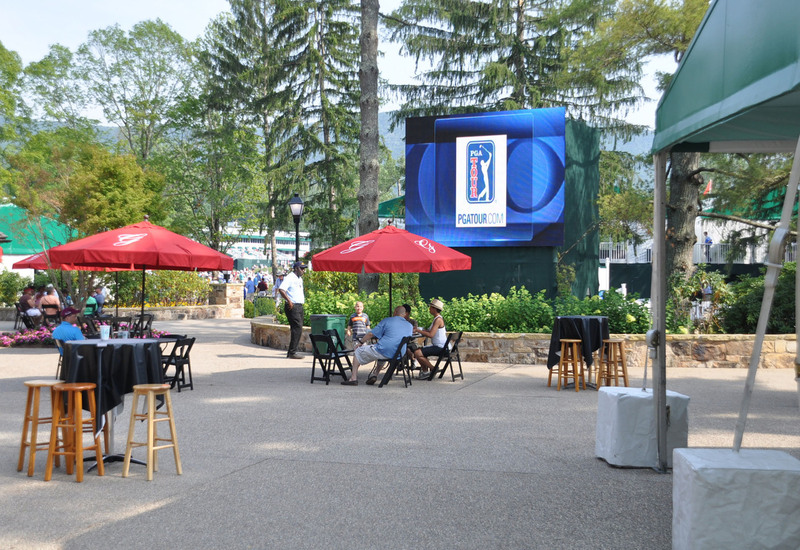 Once a year, thousands of golf enthusiasts travel to America’s first resort for the opportunity to observe golfers from around the world compete in the Greenbrier Classic for a multi-million dollar purse. The Old White TPC course is an 18-hole course spanning over 7,287 yards. 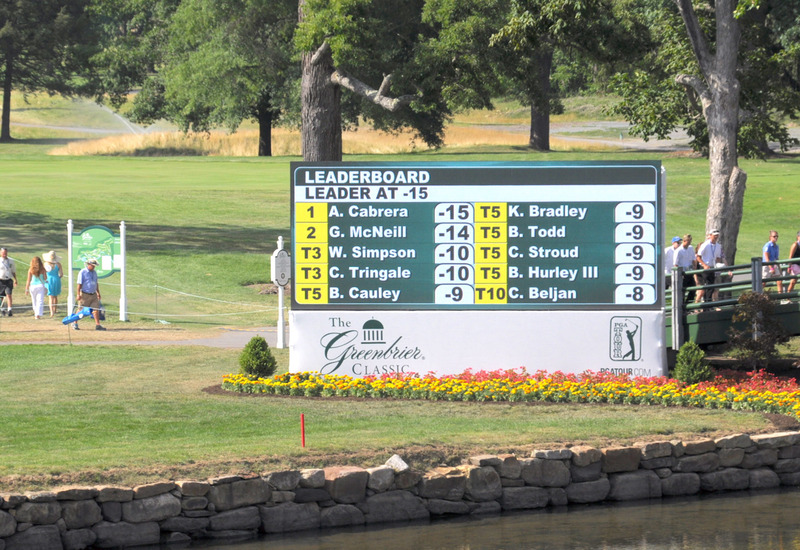 To effectively and efficiently communicate to 40,000+ spectators and participants, tournament directors opted for large format LED screens displaying a custom scoring and advertising graphics package. 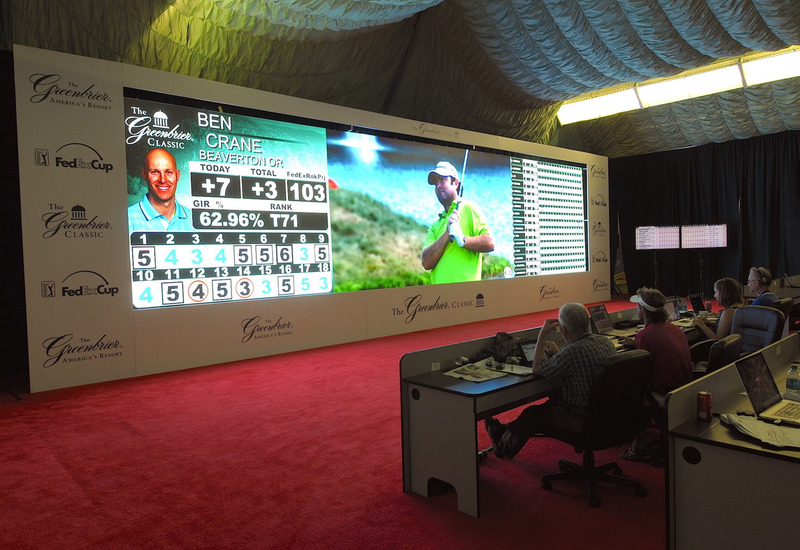 In the tournament’s media room, Upstage Video provided a high-resolution display including a custom programming solution allowing the international golf media to view a mosaic of live TV coverage and up-to-date scoring information. In addition to the screens, our team executed a full complement of AV services during tournament week. From staffing the interview room to providing multiple PA systems for public clinics and events, Upstage Video services played an important role in helping the tournament to run smoothly.